Last week, LinkedIn (LNKD) reported its first-quarter earnings, which resulted in a slew of analyst downgrades and price target decreases. For its first quarter, LNKD generated revenue of $638 million and adjusted earnings of 57 cents per share. Revenue was slightly ahead of the consensus of $636.6 million, and EPS was exactly in-line. However, management’s guidance was well below current estimates, which caused the rather sudden drop in LNKD stock price. Analysts had pegged second-quarter revenue at $717.5 million and EPS at 74 cents; management guided for revenue between $670 million-$675 million and EPS at only 28 cents. Similarly, analysts had been expecting full-year earnings of $2.98 billion and earnings per share of $3.03, but the company announced guidance for revenue of $2.9 billion and earnings of $1.90 per share. In light of the lowered expectations for LNKD stock, several firms reduced their price targets, including Credit Suisse, which lowered its target from $331 to $307, and Needham & Company, which lowered its target from $300 to $250. Analysts’ ratings for LNKD stock were also lowered, including a decrease from “hold” to “sell” by Vetr. In spite of the earnings report and depressed guidance, there are still reasons to remain bullish on LNKD stock. Factors impacting the current quarter and the remainder of 2015 were detailed by management on the earnings call, and the negative repercussions should subside in 2016. The largest factor pulling down earnings is the acquisition of Lynda.com, an education provider specializing in online training and related e-learning education. Lynda.com was acquired by LinkedIn last month for a whopping $1.5 billion, with slightly more than half that amount being paid in cash. LNKD is in a unique position to maximize the capabilities of Lynda.com’s online skills training programs. 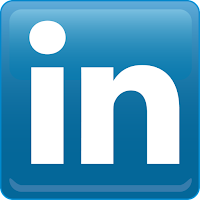 Registered LinkedIn members who may benefit from an expanded skill set can be directed to Lynda.com, which can facilitate the professional development process. Recruiters would be able to narrow searches to only candidates who have obtained specific certificates or training. This would result in a more finely-tuned pool of potential applicants. additionally, LNKD members will be more apt to proactively complete training to beef up their resumes. Generating revenue via the subscription-based model, rather than the advertising sales model used by other social media sites, is reliable and sustainable. With high levels of user engagement thanks to the incorporation of Lynda.com, and the introduction of new products and services aimed at improved experiences for recruiters, LNKD will recover from this year’s depressed EBITDA and thrive next year. One of the most powerful factors for LNKD stock is its diversified revenue stream — money flows in from several divisions, so the company is not entirely dependent on one particular area of the business. The talent solutions division recorded first-quarter revenue of $396 million, a 36% increase over last year, representing 61% of the company’s total revenue. The marketing solutions division recorded revenue of $119 million, up 38% from the first quarter of last year, representing 19% of total revenue. Lastly, the premium subscription division recorded revenue of $122 million, up 28% year-over-year, representing 19% of total revenue. Considering that LNKD earnings met Wall Street expectations and revenue beat estimates by a small margin, and that the three major divisions of the company all reported solid year-over-year revenue increases, the sudden decrease in LNKD stock is unwarranted. Granted, the company’s short-term revenue and earnings will be negatively impacted by recent events such as the Lynda.com acquistion, but long-term investors need not worry about this correction. Instead, the currently depressed share price for LNKD stock makes for an attractive entry point. Investors interested in taking up a position in the social media space for long-term tech-centric portfolios should consider LNKD stock while shares remain low.